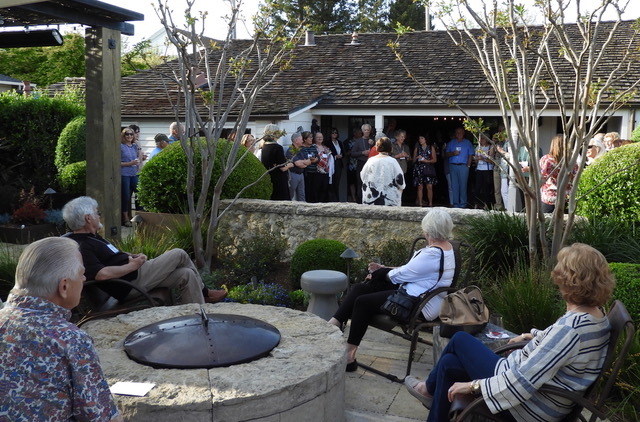 The garden and tasting rooms of Three Sticks Wines overflowed with Impact100 members and their guests on April 18, the most lovely of evenings. Enjoying appetizers and complimentary tastings of Rosé, Chardonnay and Pinot Noir, everyone let the busy-week-day stresses ease away and settled in to enjoy the beautiful setting. 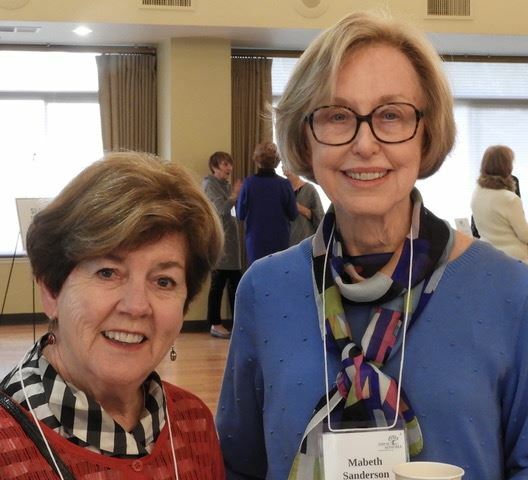 Informal gatherings such as this offer an opportunity for members, new and long-time, to learn about each other beyond the scope of our shared commitment to Impact100. 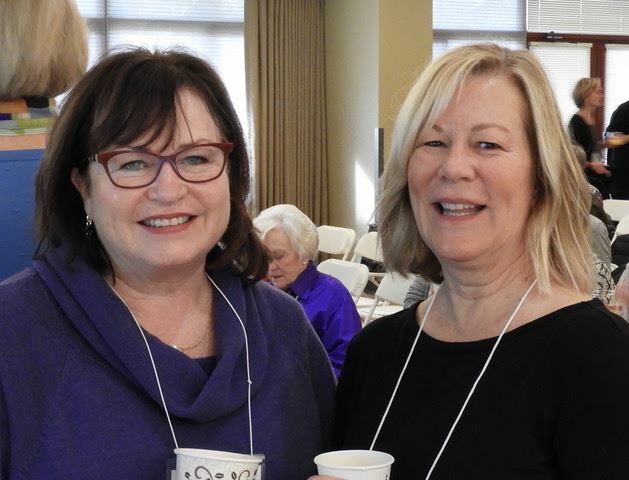 It’s a chance to form and deepen friendships, catch up, and invite women to learn about our organization and to join us in our important service to Sonoma Valley. 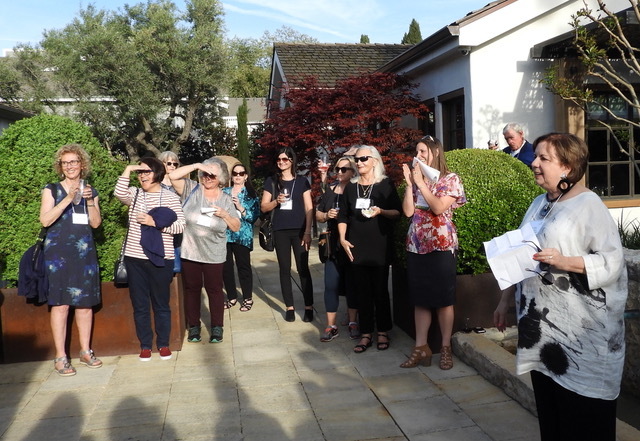 Many thanks go to Three Sticks Wines for welcoming us and serving their magnificent wines, and to Sandee Crisp, Member Engagement Chair, for the tasty appetizers and for organizing the wonderful opportunity to visit the landmark historic adobe. We've all heard the term "Blast From the Past" which perfectly describes Million Dollar Quartet! Twenty Impact100 members and friends attended this sold-out show on March 9th at the 6th Street Playhouse in Santa Rosa. 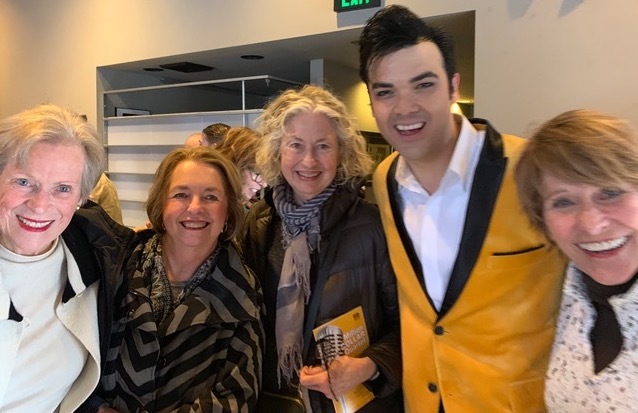 The performances exceeded everyone's expectations as we heard hit songs from Jerry Lee Lewis, Carl Perkins, Johnny Cash and the King himself - Elvis Presley. The story goes that, for one magical night, these musical stars came together in the recording studio, playing their iconic music. By the end of the show the audience was on their feet hopping and bopping to the beat. Thanks to member Kay Heigel for finding this terrific musical and securing the advance purchase of tickets. Sonoma Mayor Amy Harrington offered a Proclamation honoring ten years of service. 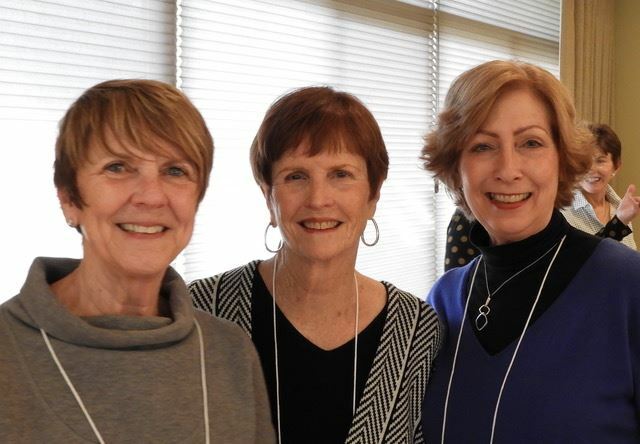 With her are Co-Presidents Gera Vaz, Judith Walsh and Lynne Lancaster. 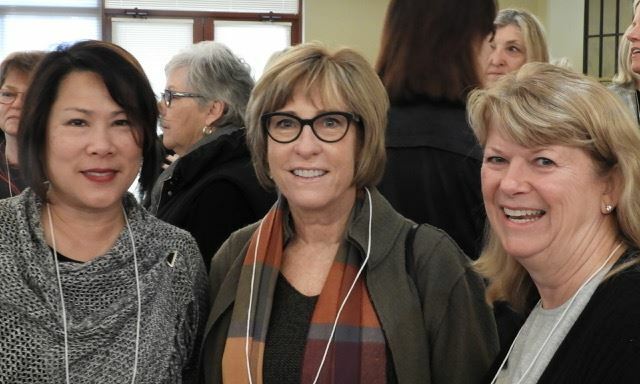 2019 marks the 10th anniversary of Impact100 Sonoma and the energy during the all-members Annual Meeting on January 26 was as effusive and celebratory as a fireworks show. Congratulations to all our members. This is your success. This is your legacy to Sonoma Valley. 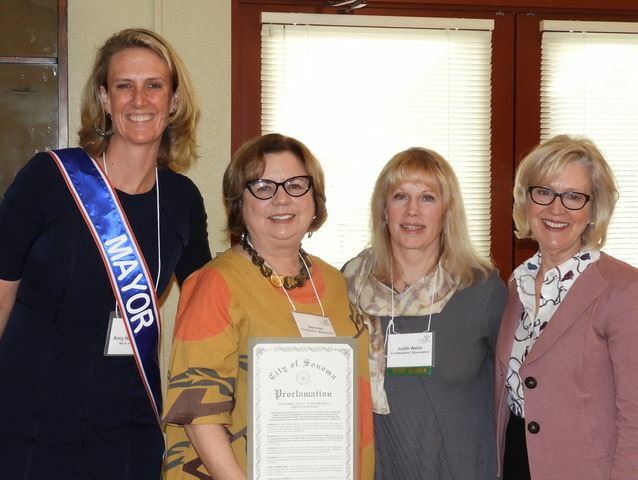 Wreathed in a mayoral sash, Sonoma Mayor Amy Harrington honored the anniversary milestone by presenting a City Proclamation congratulating our organization for ten years of exemplary stewardship and support of nonprofit organizations that serve the people, resources and environment of Sonoma Valley, and for empowering women of all ages and backgrounds to become leaders of the community and beyond. 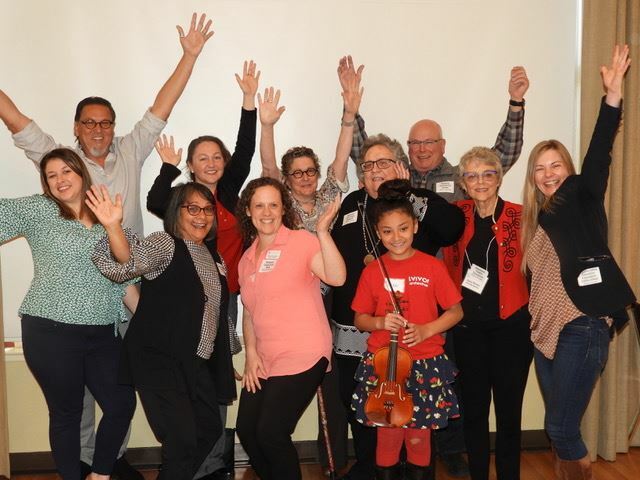 $314,000 to fund grants in June 2019! 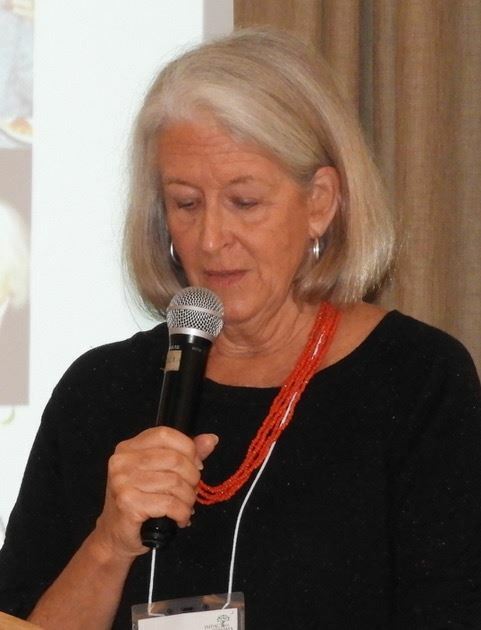 The meeting’s keynote speaker, Colleen Willoughby, has dedicated the last decades of her life to educating and empowering women to work collectively to change the world. Organizations Colleen either founded or co-founded include the Seattle CityClub, the Washington Women’s Foundation and the Women’s Collective Giving Grantmakers Network (WCGN, now Catalist). After her keynote address. 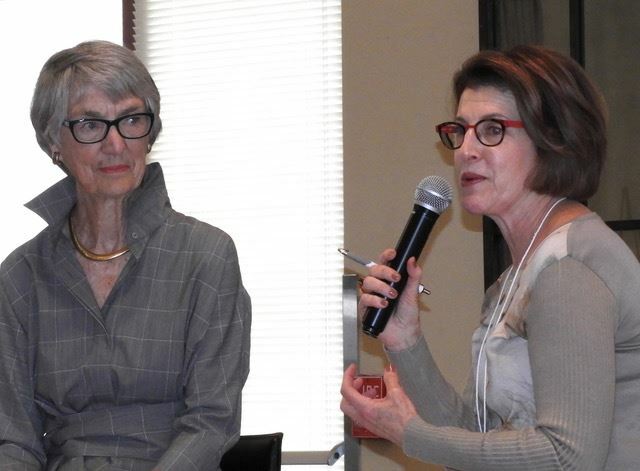 Colleen Willoughby, left, was interviewed by member Wendy Hoffman. Colleen Willoughby made a $500 donation to the NextGen Program. 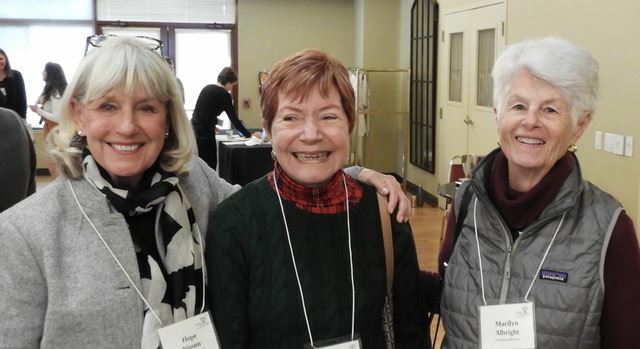 Left to right: Betzy Chavez, Colleen, Lynne Lancaster and Viannette Contreras. 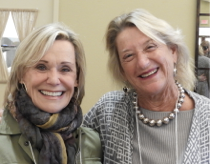 In gratitude for her traveling to Sonoma and sharing her words of wisdom and experience, Impact100 gave Colleen a $500 honorarium. That gesture was immediately returned when she donated it to the NextGen Program which provides 2-year scholarships for young women to join Impact100. Clearly Colleen walks her talk. 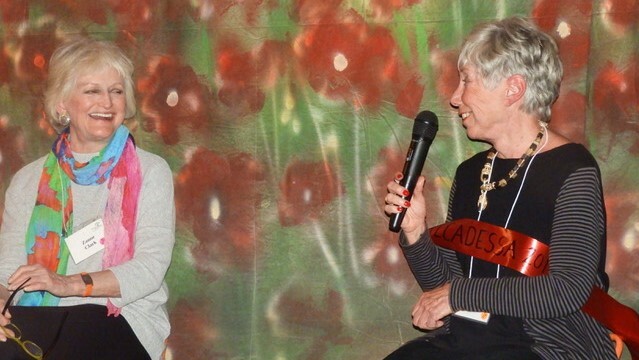 As women in philanthropy, we are indebted to her in ways we can’t even know. 2019 Onward and Upward – Congratulations one and All! These are just a few highlights of our evolving organization. Members who were able to attend the Annual Meeting received a Milestone hand-out that includes in more detail the growth of Impact100. Click HERE to view the Timeline. Admin. Asst. Chelsea Gregory and Sarah Carroll, Membership, selling Impact100 t-shirts and visors. Treasurer Helen Bohl shared Where We are Now, financially speaking. Thanks to an unexpected $10,000 donation from the Erickson Foundation, our entrepreneurial membership team that organized raffles and Impact100 visor and t-shirt sales, and the angels of Members Plus who contributed beyond their basic membership donation to help fund our organization’s operating expenses, we ended 2018 with a small surplus. Currently, fewer than half of our members contribute to Members Plus. If you can financially, please take a moment now to support the running of our organization so we can continue our good work to benefit the community. It’s easy. Just click HERE. In the Co-Presidents Letter, above, Lynne Lancaster explains Where We are Now as an organization as a whole. So that leaves the question, Where are We Going? Stay tuned to hear details about a 5-Year Visioning Meeting during which we will dream and dare and guide Impact100 to further success in the years to come. Thanks to all our members – those who only provide those vital grant dollars through their membership donations (we are proud to be a no-guilt organization!!! 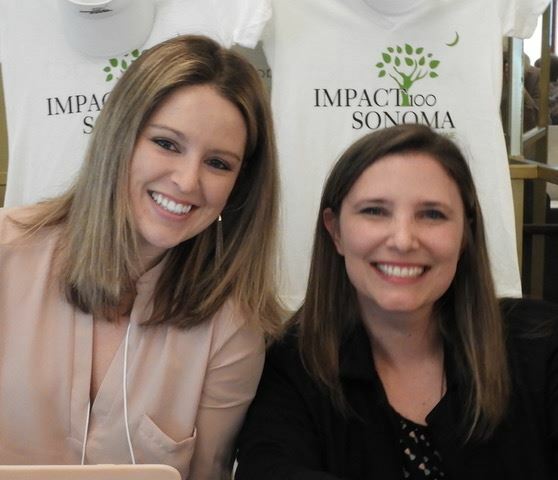 ), those who contribute more to help run the organization, and those who become involved in making it all work – Impact100 Sonoma has matured from an upstart start-up to a community powerhouse of women leaders creating a thriving Sonoma Valley. Onward! 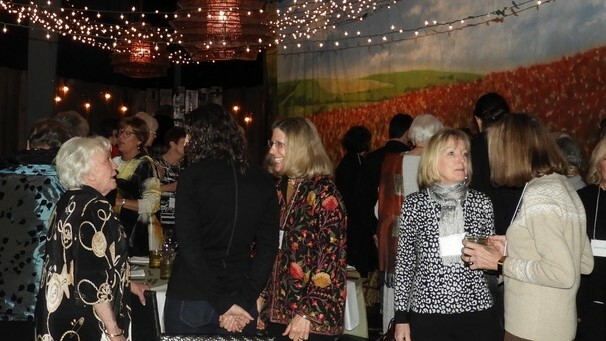 Over six years ago, when member Zanne Clark dreamed up the idea of organizing a members-only evening of good food and focused conversation, little did she know that the gathering would become a favorite annual affair that sells out in a matter of days. The evening’s format is a winner. 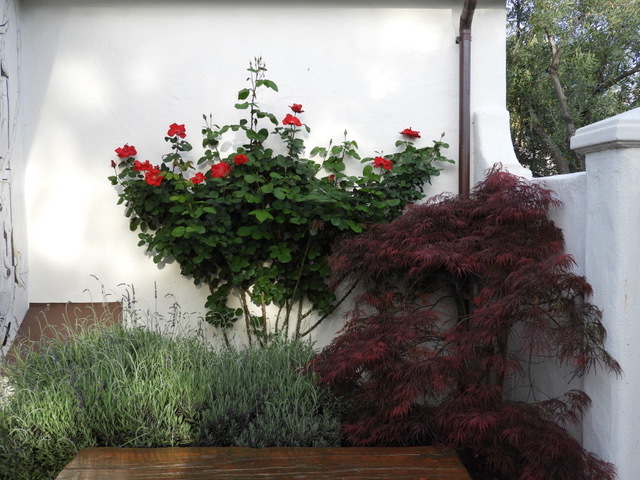 Members are assigned a table comprising both new and long-time members. 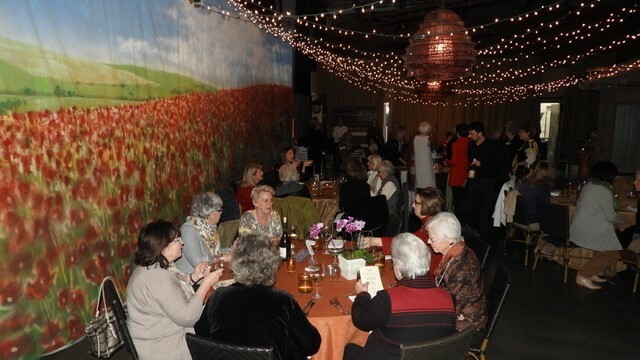 Friendships are made and deepened over the evening’s feast designed by member and Suite D owner Sandra Bernstein. Before the dessert course, three designated women at each table move on to a neighboring one, assuring another chance for members to meet. 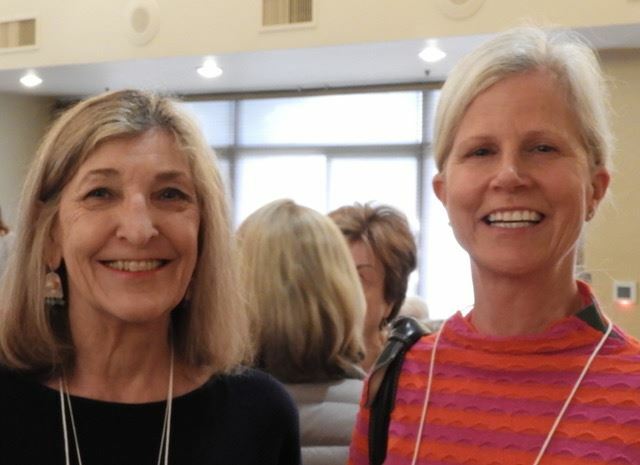 Once appetites are satisfied, Zanne and a community member she has invited, who is making a big and beneficial impact on Sonoma Valley, hop onto stools for “the interview”. Stories both personal and professional are shared, often with much laughter, and Zanne invites members to pose questions as well. 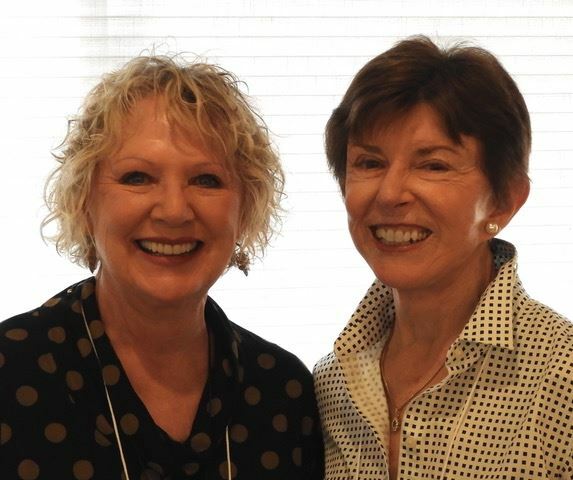 This year Zanne interviewed Karen Collins who was recently named the City of Sonoma’s 2019 Alcadessa, or Honorary Mayor. Karen has taken a leadership role in supporting the environment, outdoor recreation, and women’s healthcare.In 2018, she was recognized as a “Woman of the Year” in the third senate district by State Senator Dodd. To name only a few of the areas she has supported, Karen helped establish Sonoma’s Overlook Trail, chaired the Sonoma County Regional Parks and Recreation Commission, served on Sonoma’s Environmental Advisory Commission and the Sonoma Valley Citizens Advisory Commission. Every year members leave Suite D filled with inspiration as well as newly forged friendships, and full stomachs. 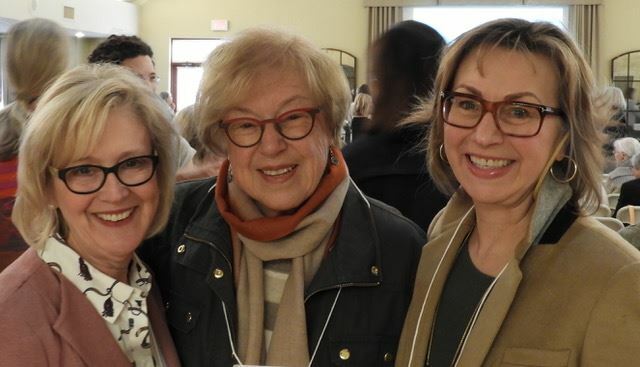 Many thanks go to Zanne Clark, Sandra Bernstein, who also made a generous donation of $500 to Impact100, Member Engagement Chair Sandee Crist, and Co-President Gera Vaz. 19 Impact100 members made their way north to the Santa Rosa headquarters of the Redwood Empire Food Bank on December 19 to volunteer in the organization’s vast, organized and efficient warehouse headquarters. After the Impact100 crew took a tour of the busy facility - in which a steady stream of 8,000 volunteers do work that would take 45 full-time staff to accomplish, they were put to work. Given the appropriate tools, equipment and supplies, the team quickly fell into place and developed a rhythm like the best of any production line. So, what did the members accomplish? 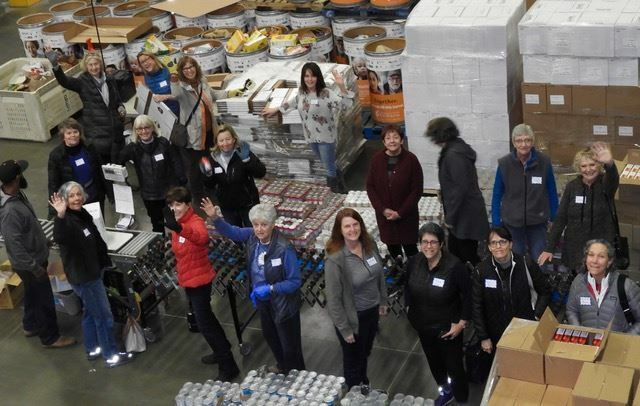 Like the dedicated, organized women leaders they are, and while smiling all the way, they taped together and labeled over 500 boxes, filled each of them with 11 pounds of canned food staples, sealed the boxes up, and loaded them onto pallets - enough to provide over 12,000 meals for food-deprived seniors to enjoy during the holidays. Now that’s a good day’s work! Thanks to all the volunteers, including Sandee Crisp who organized the outing. 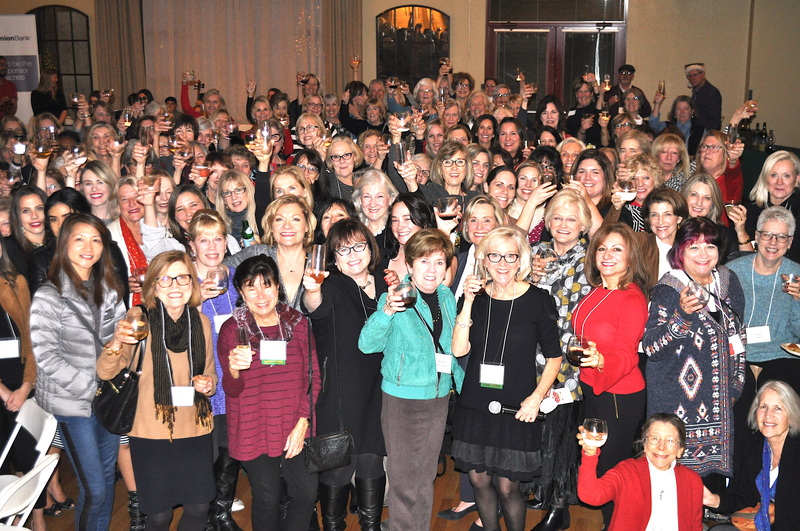 Everyone raised a glass in celebration of the season and another successful year of supporting our community. 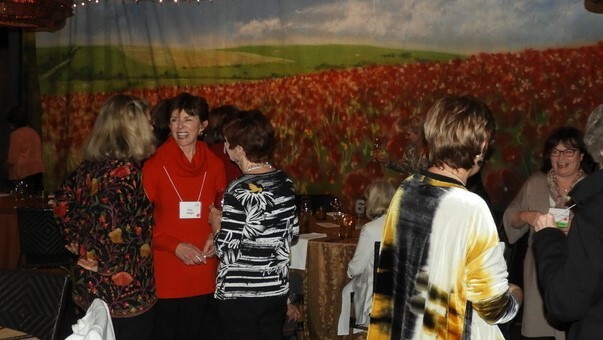 Impact100 members and guests filled the large hall at Vintage House on December 6 to share the holiday spirit, catch up with old friends and welcome new ones. Every year it seems, the vision and commitment to a thriving Sonoma Valley that members share deepens everyone’s gratitude for our community and for our neighbors. Valley Vibes Youth Orchestra played as members and guests arrived, then offered a special musical arrangement dedicated to Impact100 Sonoma. 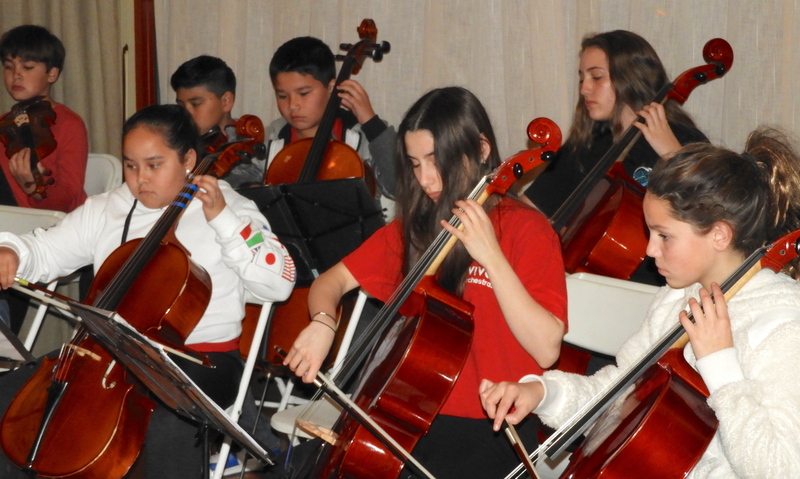 One of the highlights of the event was a musical performance by 2018 Community Grant recipient Valley Vibes Youth Orchestra (ViVO), a nonprofit K – 12 program that offers intensive ensemble-based music lessons, fosters leadership and social-emotional skills, and community involvement. 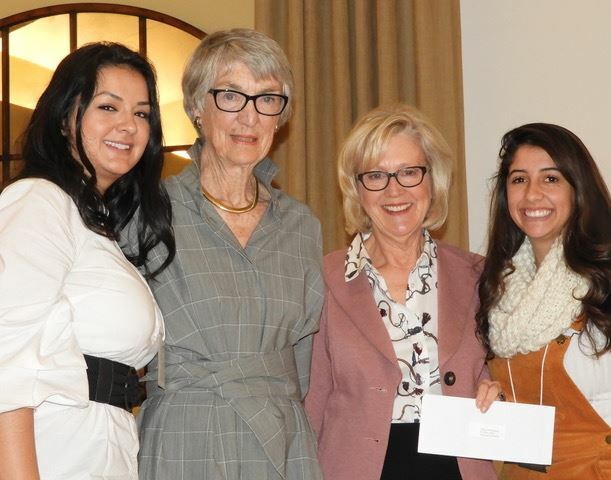 The $20,000 grant was made through the Sonoma Valley Education Foundation to support the expansion from 50+ to 100 students of the summer and after-school program that serves many at-risk socio-economically disadvantaged youth in Sonoma Valley. ViVO Managing Director Klara Crean accepted appreciation and applause on behalf of the orchestra members. At the close of 2018 there is much to be grateful for, including the nonprofit organizations that serve the inhabitants, environment and resources of Sonoma Valley. We also extend a big thank you to the volunteer bar tenders, super-chef Tracy Reynes, and all of the other members who worked so hard to make the annual Holiday Gathering such a joy to attend. 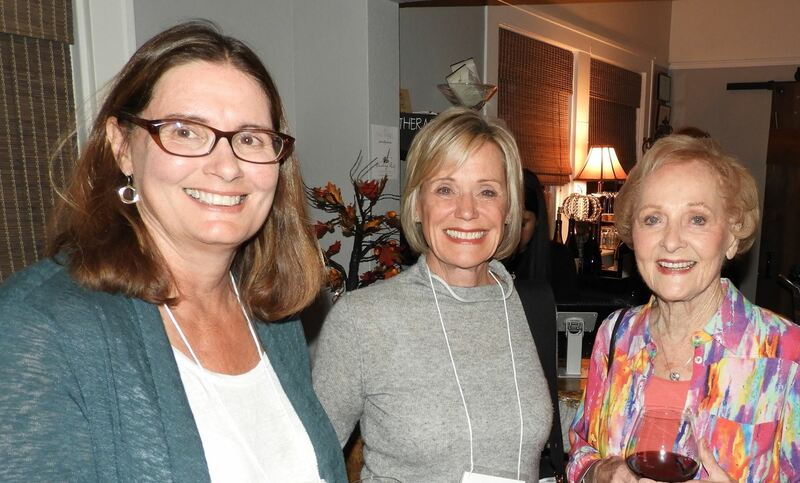 Impact100 members gathered at the Historic Maysonnave House on November 15 for an Introduction to Social Media Workshop led by member Ligeia Polidora who has 25+ years of experience in Public Relations and Marketing. 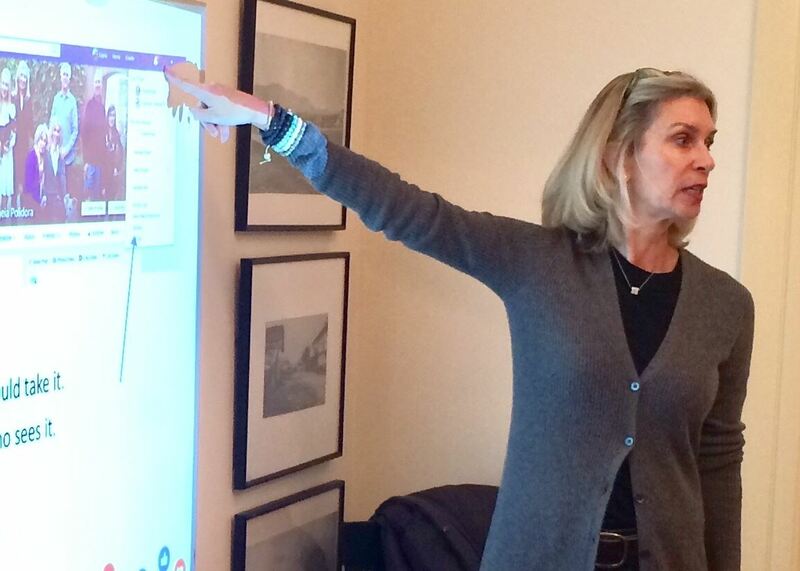 The sold-out group was treated to an introduction to the basics of Facebook and Instagram. While most members were familiar with Facebook, Ligeia included important lessons on privacy settings, tagging, hashtags, and some of the more nuanced options on that platform. The discussion of Instagram was captivating to the attendees as only a handful had experience with that app. Attendees were polled as to their interest in follow-up workshops. Based on their enthusiasm, stay tuned for a follow-up lesson that will include Twitter in 2019! Impact100 members and their guests were dazzled by the welcome extended to them on November 7 by The Panel owners Dar and Charlie Rhodes and their daughter Zoë, manager of the wine, beer and espresso lounge. 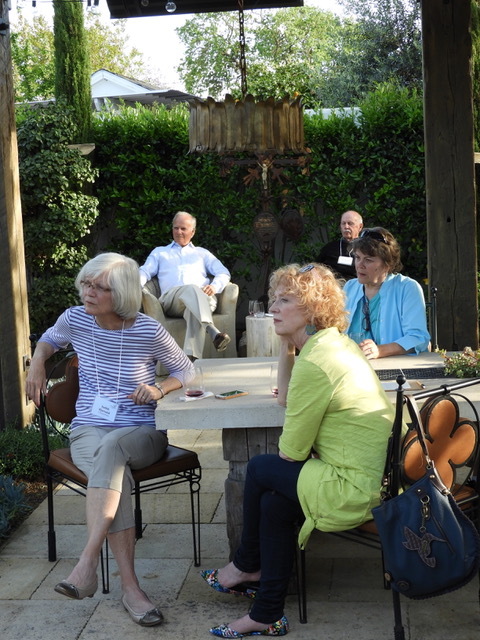 Conversation was easy and intimate as guests mingled throughout the charming cottage, then everyone gathered to hear Diana Rhoten of the Sebastiani Theatre Foundation share touching stories and successful outcomes which resulted from the $20,000 2018 Community Grant her organization received to fund 83 scholarships for Latino youth of low-income families to attend Sebastiani’s after-school and summer performing arts camps. 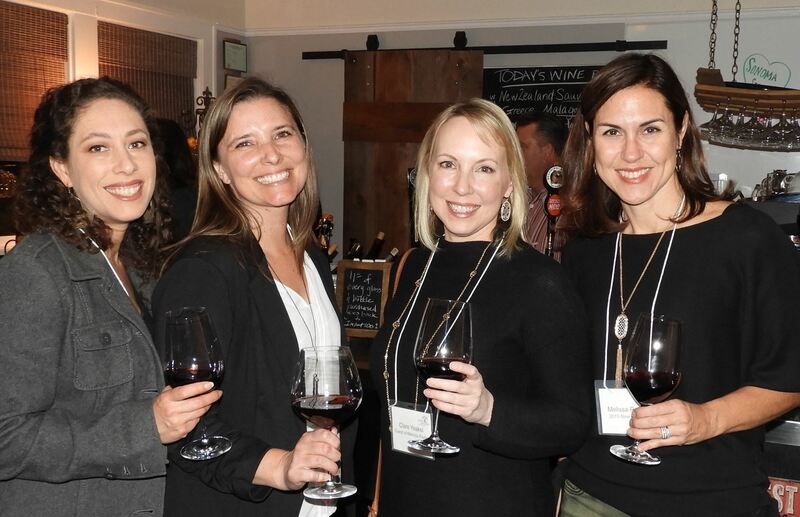 Impact100 Sonoma is pleased to announce five new participants in the NextGen Program, designed to inspire and empower young women to become actively involved in serving our Sonoma Valley community. The new members, pictured above from L to R, are Dayane Mendoza Solis, Sarah Gaschler, Allison Wiley-Weekes, Vianette Contreras and Betzy Chavez. 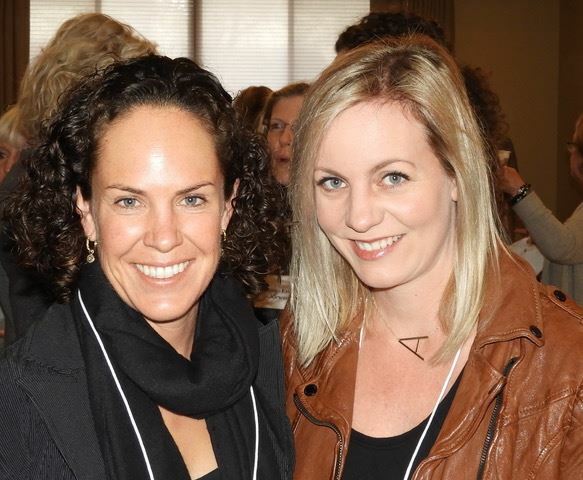 The NextGen Program provides the next generation of women an opportunity to become full Impact100 members and participate in community nonprofit engagement and the grant-making process. Participants are encouraged to join a grants committee and participate in leadership development workshops, professional networking, and other opportunities offered by the two-year program. Donations from our members and a grant from the Vera C Hendry Foundation make the program possible. Click here to learn more about the NextGen Program. Donations in any amount are welcomed online or by mail.